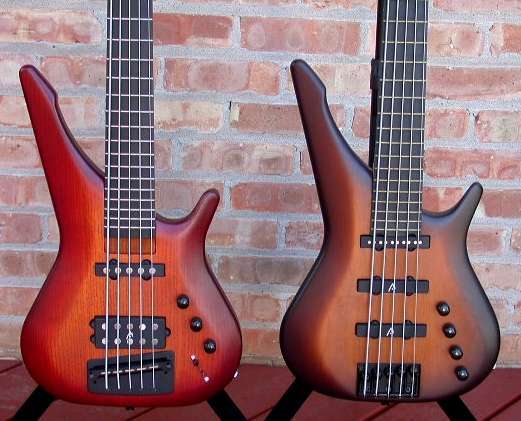 On the left is the Basic XLR-P in cherry sunburst. The body is Northern Ash. 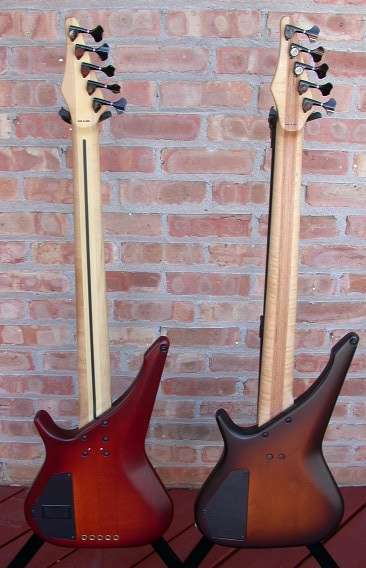 The 34″ scale neck consists of multilam Birch framed by 2 pieces of Maple with a phenolic resin fretboard â€“ 24 frets. 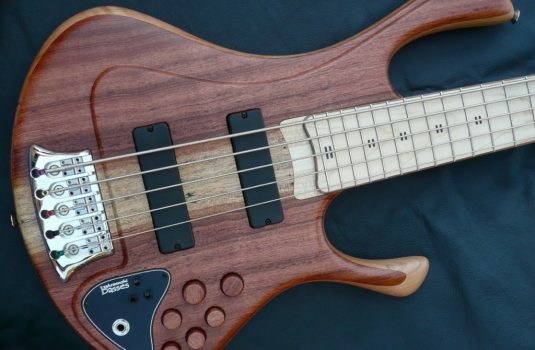 This bass features a very versatile 3 pickup arrangement consisting of a single coil in the neck position, a splittable humbucker at the bridge, and a piezo bridge pickup. 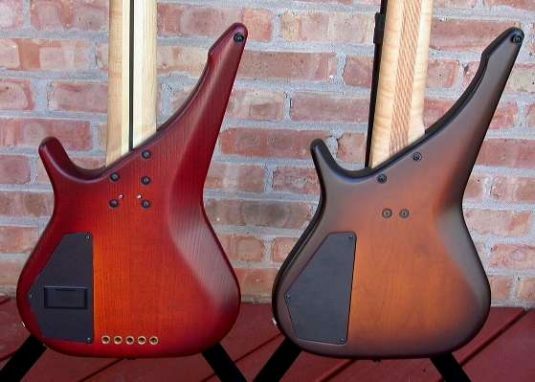 The pots are volume, mag/piezo blend, and tone. There is also a 5 position switch for choosing pickup combinations. Finally, this bass has a standard 1/4 output jack as well as an XLR output. A specially designed onboard transformer provides an extremely clean extended range signal; you can plug straight into a board or your amp. Named Trea for the 3 pickups, natch. Three proprietary single coil pickups, 3 individual volume controls and a single master tone control. The Alder body sports and antique violinburst finish. 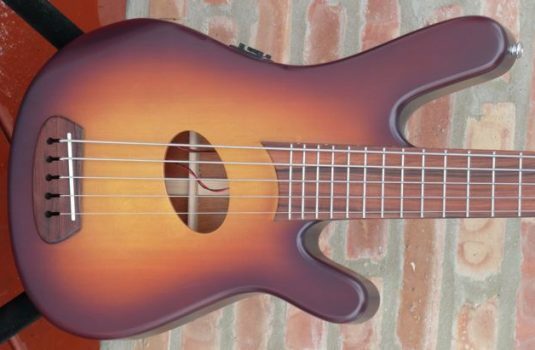 The 34″ scale neck features a multilam Beech core framed in Maple. 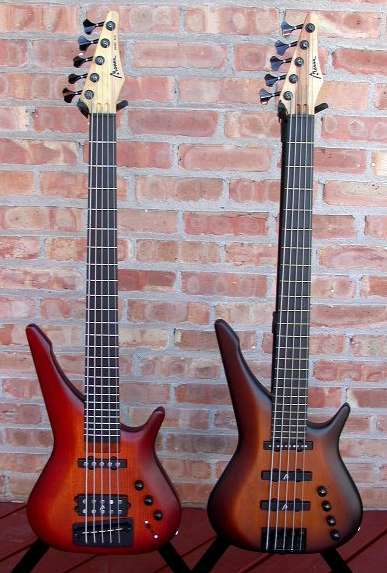 The fretboard is phenolic resin, 24 frets. 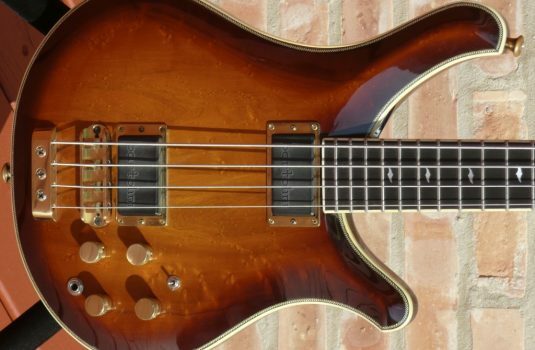 This bass is supplied with a hardshell case and 1 year warranty. 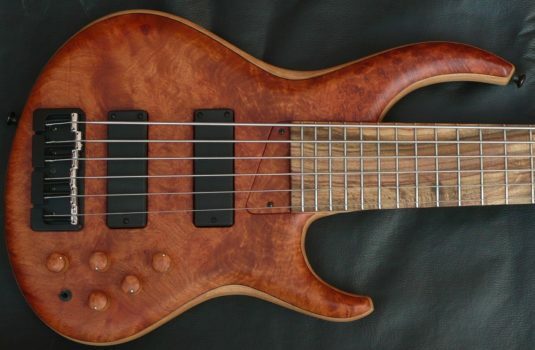 This bass plays very well and is very versatile with 3 blendable pickups.